This year, the Pew Research Internet Project is commemorating the 25th year of the World Wide Web with reports documenting its impact on daily life, and recently reported that 87% of Americans now use the web. Internet accessibility and the ‘digital divide’ are central considerations for any government agency contemplating new digital interfaces for core services. While levels of Internet access are lower for people with fewer resources, the rapid growth of smartphone use and presence of community access points mean we should consider a spectrum of Internet accessibility based on type of access and level of fluency, and tailor improvements to digitally-enabled services accordingly. Pew’s latest report indicates that there is almost complete saturation of young adults and high-income, well-educated people. Previous research estimated that about 70% of American households have home broadband access, another 10% of Americans have access to a smartphone but not home broadband, and 5% use the internet outside the home – the remaining 15% weren’t using the internet at all, typically older, retired individuals. While there are population-level differences in access by race and ethnicity, much of the difference between African-American and white adults is found in older age demographics – access rates are similar for young adults and comparable education and income groups, particularly when including smartphone use. These figures have implications for any government manager looking to deploy online portals as part of a service delivery strategy, since Internet access is only the first in a series of steps leading to a successful experience. In order to achieve the greatest gains from digital services, sites should be designed to maximize ease of use across a variety of potential user groups with differing access modes, motivations, skill sets, and time constraints. Currently, many efforts to provide services online are designed for generally tech-savvy users – a reasonable approach given the large number of internet users and lower cost of deploying solutions. For example, publishing machine-readable government datasets can drive transparency and innovation, but the benefits are often only accessible to the narrow set of users who have the time and inclination to explore city data. Similarly, efforts like Open Counter are vast improvements in services for a constituency with a defined aim. However, many of the people that governments serve may not be able to access these services for a number of reasons: lack of reliable internet access or sufficient connectivity, limited experience navigating websites, uncertainty about which services are relevant, or time constraints. Each of these obstacles can be overcome through improved user experience design, tailored to the specific attributes and usage patterns of the target audience. For example, if an organization like Young Invincibles wants to provide 18-30 year-olds with information about health insurance options, a mobile-compatible interface accounts for high rates smartphone use among those without home broadband. Alternatively, user interface design can assist residents who might be eligible for services provided by a range of government and non-profit providers – Aunt Bertha allows them to browse based on geography rather than visiting individual agency websites. Other users may require in-person support to gain initial access to digital services, since surveys indicatethat 63% of internet newcomers would want assistance. Community access points like schools and libraries can help to bridge these gaps, since staff are available to assist people searching for new information or services – 82% of libraries provide point-of-use assistance and 87% offer courses on internet skills. In recognition of the importance of improved connectivity for schools and libraries, President Obama announced the ConnectED initiative in the State of the Union, which will incentivize the provision of high speed access and technology training for teachers. Over time, many of the technical and financial barriers to internet access have been lowered by innovation and competition, but the question of skills and interface design remain of primary importance for government service providers. Considering the specific use patterns and barriers to access faced by a given population should be a core part of any agency’s digital strategy. _Lyell Sakaue is a Master in Public Policy candidate at the Harvard Kennedy School. Before graduate studies, Lyell helped launch and manage IBM’s award-winning Smarter Cities Challenge – a philanthropic initiative to provide $50 million worth of strategic policy guidance to 100 city governments around the world. 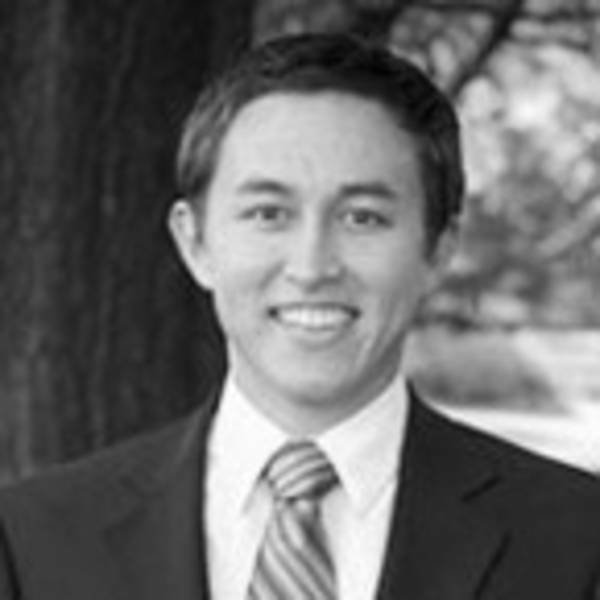 Lyell Sakaue is a Master in Public Policy candidate at the Harvard Kennedy School. Current research interests include the equity impacts of information technology, public-private partnerships and innovations in governance. Before graduate studies, Lyell helped launch and manage IBM’s award-winning Smarter Cities Challenge – a philanthropic initiative to provide $50 million worth of strategic policy guidance to 100 city governments around the world, on topics ranging from transportation informatics to fuel poverty.